Welcome to our page breaking down the CNA salary in Montana by city. Workers in this state need to become certified before they can become employed at medical facilities throughout the state. If you enjoy helping people and looking out for their health, you might want to think about becoming a certified nursing assistant or CNA. 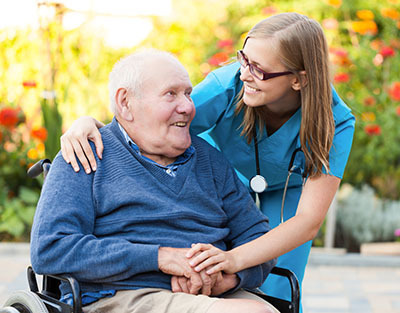 A certified nursing assistant is an individual who has been trained to look after the health needs of the sick and elderly. As a CNA, you will be working under the supervision of a registered nurse to ensure that patients in health facilities receive proper care. A CNA is a vital part of any health care team as you are the one who will have daily contact with the patient. You will be charged with providing the quality-of-life-needs of the patients. You will also be tasked with monitoring their daily condition and reporting and changes to the nurse or doctor in charge. As a CNA you will be able to find work in a variety of settings. There are often many available opening for these jobs in a variety of health care settings. For instance one could potentially work in a hospital, nursing home, for a health care agency, at an assistant living center, in a patients home or even as a self employed business owner. If you want a job where you can help people and look out for their health, then a CNA position is for you. It is also a job where you can bring home a nice healthy paycheck. You can gain experience in the medical profession and many in this job go on to become registered nurses. For a better idea of your earning potential as a CNA in Montana, check out this list from Indeed.com. It shows the annual base salaries for CNAs in seven major cities in the state. The amount of experience that you have as a CNA will affect your earning potential. Many employers in the state prefer to hire a CNA who has proven work experience. A beginner CNA can expect an entry-level salary of about $18,500. As you increase your level of experience, you will be able to negotiate for a higher salary, either with the facility you are already working with or with a new one. Self-employed CNAs earn the most. However, you are going to need experience to go down this route. as most people seeking a private CNA will want one with proven experience in a large health care facility. Hospitals and government organizations employ a large number of CNAs in Montana. They offer a good pay scale and also provide benefits such as paid leaves. These facilities also provide valuable hands-on-experience. Another advantage afforded to CNAs in Montana is the ability to work on a contractual basis for more than one organization. For example, a CNA be contracted to work on weekends in a nursing home while working at a home health facility during the week. Before one can take the certification exams to work as a CNA one must have a high school diploma or a GED. Schools that teach the fundamental skills required to become certified are offered at local colleges, online websites, trade schools and through different medical facilities such as nursing homes. Potential CNAs will need to complete approved CNA programs of at least 75 hours. This will include around 45-50 classroom hours and 25-30 clinical hours. Trainees will need to complete all required nurse aide skills before they can get approval to take the state competency evaluation. In Montana, workers get their credentials from the Department of Health and Human Services (DPHHS). They need to pass a state competency evaluation and have shown to successfully be able to perform all their expected duties in a training or an employment capacity. If you have taken your nurse aide training out-of-state, or have already been working as a out-of-state CNA, you need to be endorsed into Montana to be part of the registry of CNAs in the state. You can be endorsed on the basis of certification in any state. You will just need to submit an application form and present a card or letter from each state you are certified in. An out-of-state CNA can work in Montana for up to 30 days before receiving their certification, as long as the Montana employee has contacted the Certified Nursing Assistant out-of-state registry to verify their certification. Visit this page for more information about attending nursing assistant classes in Montana.